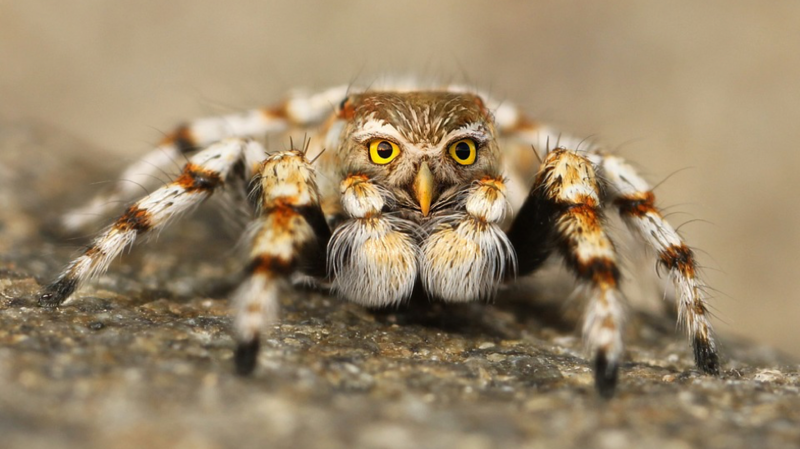 Just because you see it online, doesn’t mean it’s a fact… How to develop a spider-sense for fake news? The second session of my social media class dealt with the topic of fake news, one of the most hotly-debated socio-political topics of recent years. 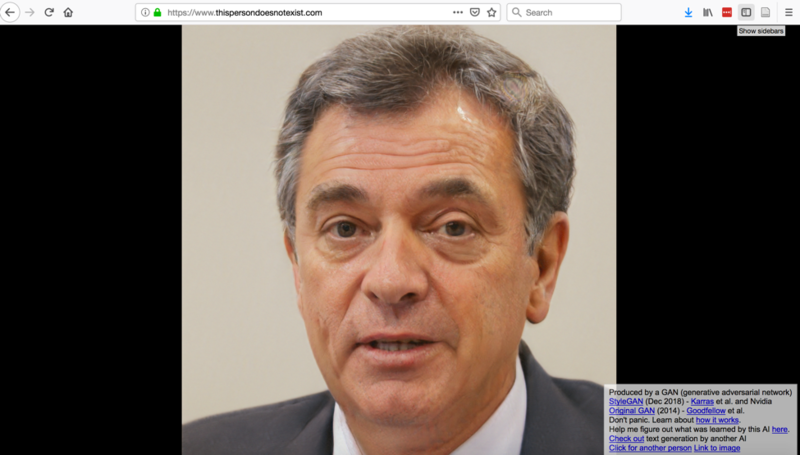 Websites containing hoaxes and misleading information pop up across the Internet and are often shared on social media to increase their reach – by both human users and artificial bots, deliberately or unintentionally spreading disinformation. In this session, we talked about critical consumption, and how we can make good choices about what we give our attention to, about where and how we seek out expertise and perspective, about how we process what we read and view. Do we have a problem with fake news? Fake news is a politicized and controversial term, used both to criticize mainstream media and to refer to problematic content online. As I live in the US, and am teaching this is class at a German university, we were specifically looking at the situation in these two countries. Contrasting the two countries helped us recognize fake news as a global phenomenon with regional differences. 54% of US Americans see fake news as a significant problem. 71% of US Americans see it as a serious problem that ‘outside groups’ are planting fake news on social media. 74% of Germans strongly or partly agree with the statement that fake news is a real threat to society. 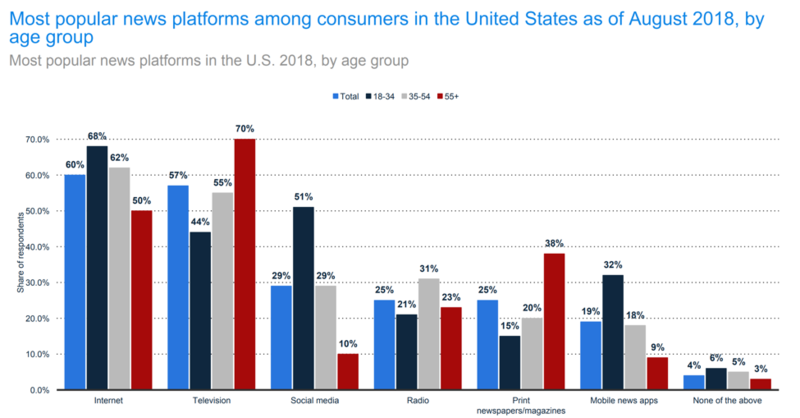 41% of US Americans use social media daily to consume news. 65% of Germans describe the information in German media as generally credible. Asked to describe their level of trust in the mass media to report the news fully, accurately and fairly, 30% of US Americans stated ‘not very much’ and 21% stated ‘none at all’. 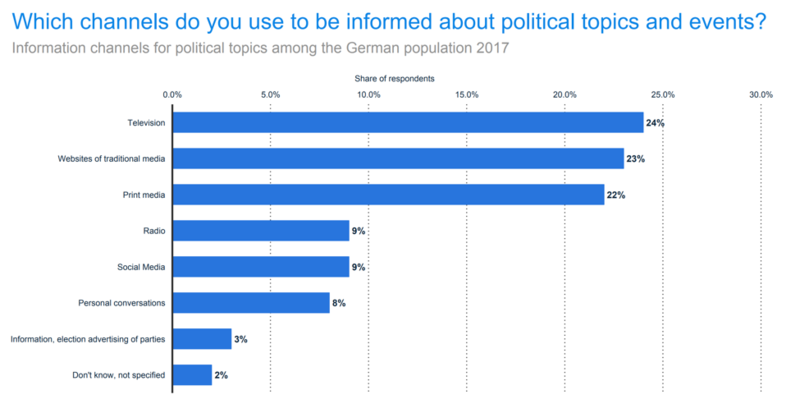 While the problem is perceived as significant in both countries, Germans have a higher trust in traditional mass media, and consume overall less news via social media. ZIKA: The arrival of Zika virus in the United States has generated a lot of activity on social media focusing on the algorithmic increase in the spread of the disease and its concerning complications. Sharma, Yadav, Yadav, & Ferdinand (2017) found that the misleading posts were far more popular than the posts dispersing accurate, relevant public health information about the disease. Momo Challenge: A recent scare went through social media, particularly in parenting circles: Momo, an alleged social media meme, supposedly targeted children and adolescents to commit acts of violence or self-harm, either through gamified challenge or subliminal messages in youtube videos. Vaccines: In the context of the class, we specifically looked at the claim ‘vaccines cause autism’, and how this message perpetuated through social media channels. In preparation for the class, I looked at the tool hoax.ly. Specifically, I wanted to understand how this tool can help to get a sense of how disinformation spreads through social networks, particularly Twitter. How biased or diversified is your social media feed? I shared some examples from my Facebook wall that had been analyzed with the Google Chrome media bias extension. Bots (artificial computer profiles) play a significant role in spreading fake news. They spread fake news in two ways: They keep “saying” or tweeting fake news items, and they use the same pieces of false information to reply to or comment on the postings of real social media users. Social media bots are easy to build. They leverage AI (artificial intelligence) algorithms, and have the purpose to amplify information. Amit Agarwal describes on the ‘Digital Inspiration Blog’ how to build a Twitter bot in mere five minutes. The website ‘This person does not exist’ allows you to create fake profile images based on an AI algorithm. Researchers are trying to discern if these AI products played an influential role in the 2016 US election, in the Brexit referendum and in the Ukraine conflict. 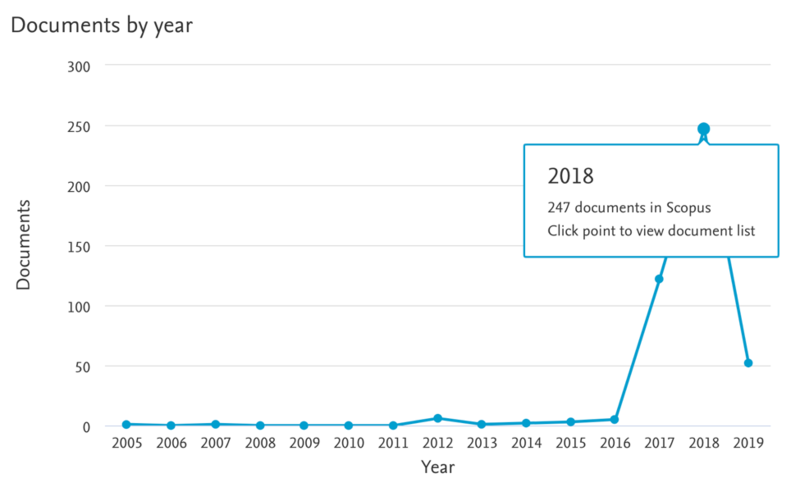 Research interest in fake news is definitely on the rise: A search in the portal SCOPUS reveals that the number of research papers published on the topic of fake news jumped from 5 in 2016, to 247 in 2018. 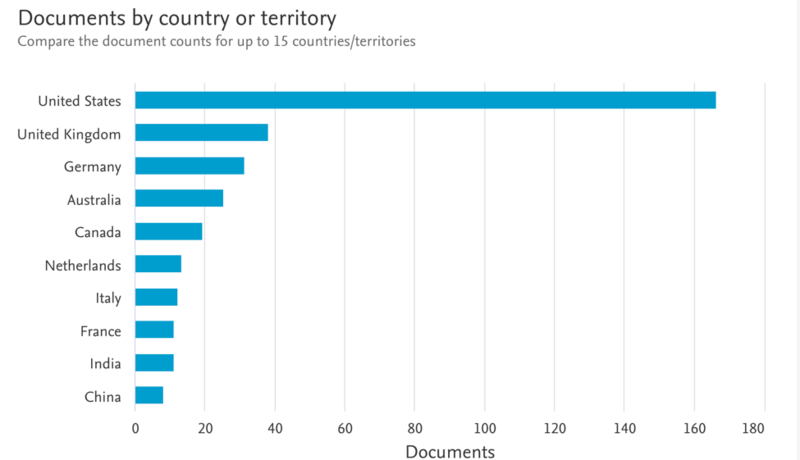 The majority of publications in SCOPUS stems from the social sciences and computer sciences, and authors are predominantly from the U.S. or U.K.
A search in web of science reveals that fake news is an interdisciplinary research topic – garnering interest from communication, information and library science. The OER textbook ‘Web-Literacy for Student Fact-Checkers’ is a tremendously helpful resource for people who care about facts. In class, we talked through some of Mike Caulfield’s main points. Since it’s our attentionthat is being hacked, we are far better off doing several short checks in a day than only a few thorough ones every now and then. Get these checks down to such a simple level that they become automatic routines like checking the mirror when changing the car lane. With some reasonable exceptions, you should fact check everything you share, and everything you have a strong (emotional) reaction to. Not everyone needs to have fact checking habits. If enough people do it, we obtain herd immunity to fake news and hoaxes. Go upstream to the source: Most web content is not original. Get to the original source to understand the trustworthiness of the information. Circle back:If you get lost, hit dead ends, or find yourself going down an increasingly confusing rabbit hole, back up and start over knowing what you know now. As their assignment, I asked students to complete a ‘4 Moves’ fact check, and document how long it took them, and how easy they found the process. Sandra Rogers has written a series of blog posts for AACE Review on the topic of fake news, and introduced me to several of the tools discussed in class. Mike Caulfield is the author of the e-book ‘Web Literacy for Student Fact Checkers’, and I had the privilege to interview him for AACE Review – many quotes from this interview made it on my slides for the class session. Panke, S. (2018). Improving Civic Discourse by Fostering Web Literacy: An Interview with Mike Caulfield. AACE Review. Rogers, S. (2018a). Interview with the Creators of Hoaxy® from Indiana University. AACE Review. Rogers. S. (2018b). Navigating Post-Truth Societies: Strategies, Resources and Technologies. AACE Review. Sharma, M., Yadav, K., Yadav, N., & Ferdinand, K. C. (2017). Zika virus pandemic—analysis of Facebook as a social media health information platform. American Journal of Infection Control, 45(3), 301–302.